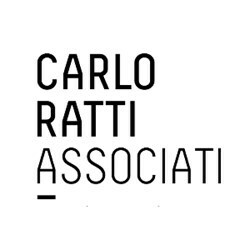 Carlo Ratti Associati is an international design and innovation office based in Torino, Italy, with branches in Boston and London. Drawing on Carlo Ratti’s research at the Massachusetts Institute of Technology Senseable City Lab, the studio aims to develop innovative design projects, merging high profile architecture and urban planning with cutting-edge digital technologies, so as to contribute to the creation of not just smart but also “senseable” cities and buildings. Noteworthy achievements at the urban and architectural scale include the masterplan for a creative hub in the City of Guadalajara, the Future Food District at Expo Milano 2015, the concept The Cloud for the 2012 London Olympics, and the Digital Water Pavilion at Expo Zaragoza 2008 - named Best Invention of the Year by Time Magazine. Product design projects range from experimental furniture for Cassina to light installations for Artemide. In 2014, Carlo Ratti Associati launched a newco, Makr Shakr, producer of the world's first robotic bar system, to be installed on a total of four Royal Caribbean cruise ships by summer 2016. In all these circumstance, the studio investigated the connections between digital technologies and built environment, with a particular attention for the role of mobile devices and sensors, for the interpretation of Big Data, and for the relationship between users and interfaces. Throughout the years, the studio has received several awards, including in 2015 the Digital Signage Best Practice Award and the Guinness World Record, both for realizations connected to the Future Food District at Milano Expo 2015. The works of the practice have been featured in leading exhibitions and publications worldwide, including New York Times, Financial Times, Wall Street Journal, The Guardian, BBC, Wired, Boston Globe, Der Spiegel, Corriere della Sera, Domus, Dezeen.